Travel, driving fast, the scenery zooming by outside the window: this is the rhythm of the interstate Highway. The point of the Interstate Highway is to get from point A to B with few stops and as fast as possible. Me, I prefer the slow route, the 2-lane blacktop that twists and winds its way along, or better yet the dusty dirt road seeming like it has no objective but to follow the curves and undulations of the landscape ahead. For this trip my destination is Missoula, Montana and a visit with my daughter who is there attending school. I have chosen to take the roads less traveled and we will see if I can extend what is normally a 16-hour trip to 3 days. I savor this chance to see the sights and interact with the land. I leave Colorado Springs and head west on US Highway 24 which takes me almost immediately into the mountains and to Woodland Park, CO. To take the road less traveled in Woodland Park I turn north on State Highway 67. The twisting canyon is decorated with oversized boulders made of Pikes Peak granite that litter the side of the roadway. Dead trees stand sentinel on the ridges are a stark reminder of the Haymen fire that ripped through this area in 2002. At another intersection and another choice, I turn left on US Highway 285. Too fast for me, I look for the road less traveled and spot the turn for Guanella Pass. Remembering this as a dirt route to Georgetown, I think perfect. I start the climb and I find fresh pavement, Guanella pass has been brought into the modern age allowing all comers to enjoy the views. 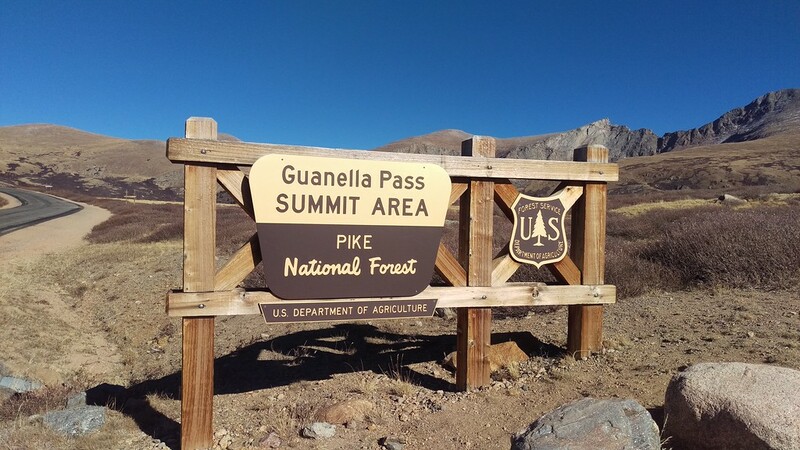 As a freshly paved surface, Guanella pass offers a thin black ribbon that snakes through the high Rockies. 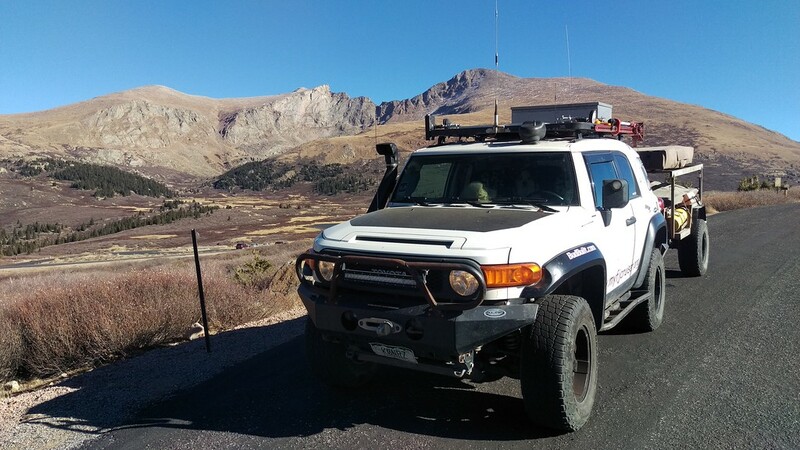 I stop at the 11,669-foot summit and enjoy the high alpine views of Mount Evans and Mount Bierstadt. Down to Georgetown I go. I find 1st gear to slow the decent but still must use the brakes more than desired. Starting down the final switchbacks into Georgetown I feel brake fade starting to happen, time to pull over and cool the pads. Having spent my life driving in the Colorado Rockies I have rarely had brake problems, this must be due to the new pads from EBD, I’ll have to call the when I get home and see if they have a heavy-duty pads that are more heat tolerant. In Georgetown I see Interstate 70 off to my left and it is time for a little creative routing. I take the frontage road and head east along the interstate, then left across an overpass bridge. It’s time for another Colorado pass, Berthoud. Climbing US Highway 40 I cross the Continental Divide, the first of many crossings to come. The mountains are covered in a sea of green. The top of the pass reveals the now defunct Berthoud ski area as it climbs to the top of the nearby peaks. Down off the Continental Divide I roll, through the ski town of Winter park and head north on Colorado 125. 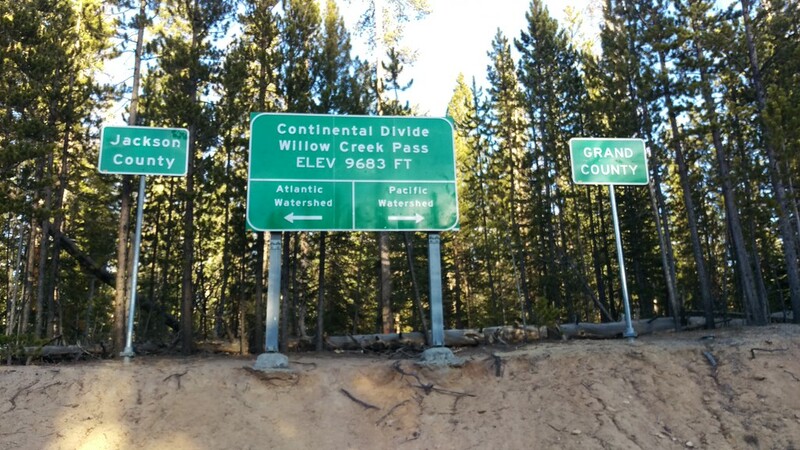 Highway 125 takes me back over the Continental Divide on Willow Creek Pass, crossing number two. Back in the Atlantic watershed Highway 125 leads me on into North Park. North Park is home to one of the largest Colorado Moose populations. In 1978 moose were released by wildlife managers and now almost 40 years later Colorado has a moose population nearing 1000. Still moving north, the hour is starting to get late. 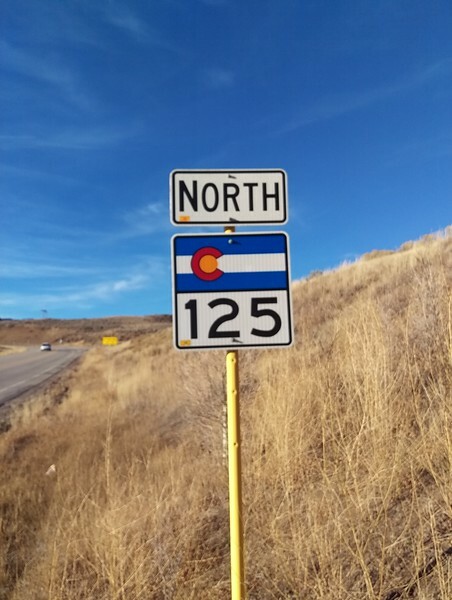 Leaving Colorado, the same black ribbon now becomes Wyoming 230 and leads me to the small town of Saratoga, I check the hot springs resort but there is no camping available. My option to stay off the interstate now gets a little interesting, I head northwest from Saratoga on dirt county roads following what shows on the map as a through route to Rawlings. Damn, it ends at a locked gate. Time to turn around, I back track about 5 miles and select what looks like the main dirt road heading west. Getting late I use Backcountry Navigator to locate some BLM land tucked into all the private ranch land and head about ½ mile down a small dirt track. 5 minutes later I have the roof top tent on the trailer setup and camp ready for sleep. Listening to coyotes, faint in the distance, I have a small dinner and climb into the tent. With the sun starting to light the eastern horizon it’s time to get rolling. The roof top tent closed and I am ready to roll. Back on the main dirt road I continue west looking for the route that will take me to Rawlings. I find what I think is the correct road north and turn towards Rawlings, WY. Many times, these roads in oil country make no sense. New roads are added and old roads abandoned with no map updates. Feelings one’s way through sometimes is the only way to go. Rawlings does not provide me much in the way of early morning bakeries or coffee stops. I make the best of the situation and with a cup of hot Chai and a few donuts I head north on US Highway 287. With daylight breaking, I enjoy the stark scenery of south central Wyoming. The highway passes through a cut in the South Granite Mountains where there is an interesting upended white band of limestone that extends to the east. 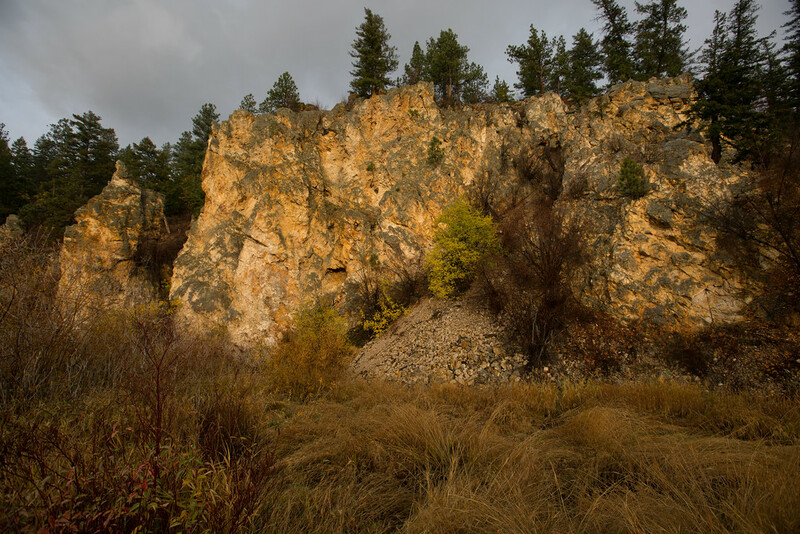 This limestone was turned on edge when the granite mountains were thrust up during the Laramide orogeny (mountain building event). At Muddy Gap I head west staying on US 287. 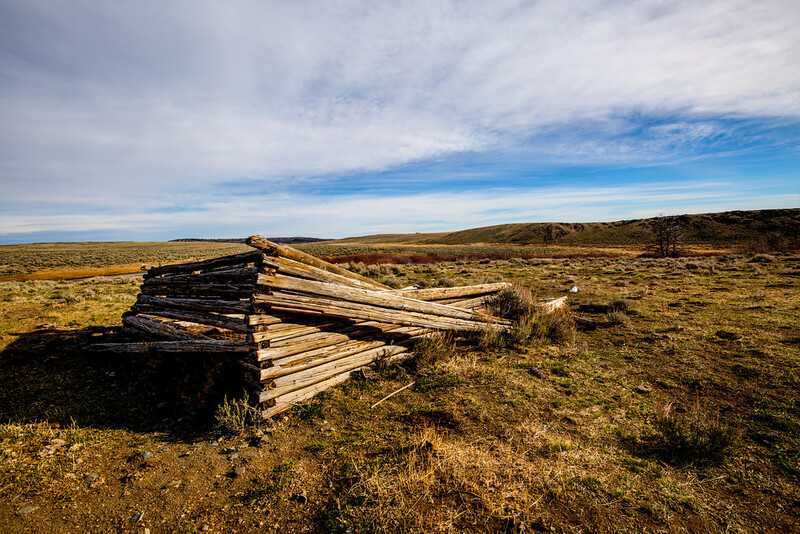 Here the highway joins up with the historic Oregon Trail and I make stops at the historic markers for short history lessons. Split rock, the Sweetwater River, Ice Slough, all places key to the westward movement along the Oregon trail. Once across the Sweetwater River at Sweetwater Station I start looking for my turn south. My goal at this point is to follow some portions of the actual Oregon trail. I turn south onto the old Atlantic City Road, a dirt route that parallels the Oregon Trail a few miles to the south. I make it to South Pass, my last crossing of the Continental Divide for this trip. South pass is, the location where the Mormon and Oregon trails part ways. 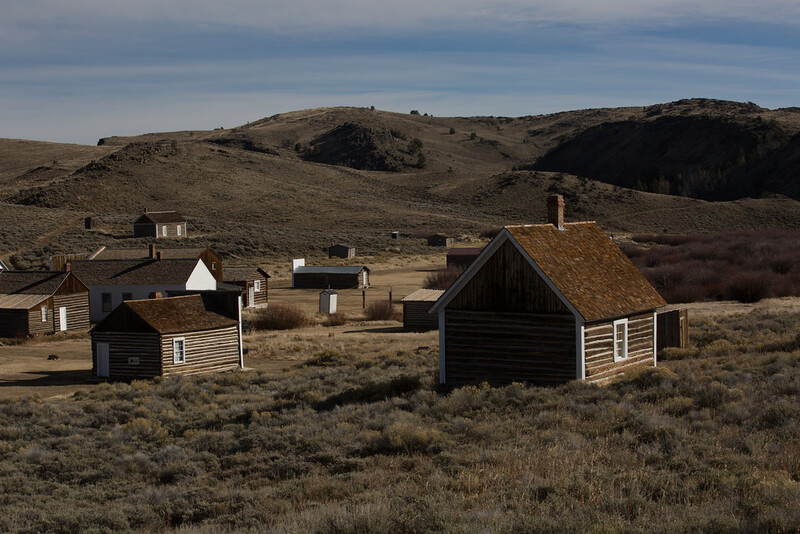 The shuttered town of South Pass looks to offer a summer destination with the recreation of an old west mining town. Today it just serves as a short stop for me on my march north. Back on the road I make my way to Highway 28 and head south. Seeing a break in the fence with an Oregon trail maker I consider this as my next turn. I check my map and see this is the Lander Cutoff for the Oregon Trail. Ah, another dirt route north. I cross the highway and head west on a small dusty double track trail. I love exploring on these drives and that is just what I find myself doing. I encounter one fork after another and with a little survey I see a white Oregon trail markers showing me the way west. If it was only so easy for the emigrants that passed this way. Having followed the contours of the trail for some time I find myself on top of a ridge overlooking the Sweetwater River. One track heads north down the ridge and another west down to the river. I park the truck and first walk the north route and find that it does not head the way I feel I should be heading. Back to the truck where Tagg (My trusty border collie) and I scramble down the left fork in the trail finding a rocky descent that seems to take us west and towards the river. Back in the FJ I shift into 4 low and descend the rocky track. Man, bringing a covered wagon down this must have been a chore. For me in the FJ the trip down is a slow easy crawl. At the bottom the trail winds through the low willows and I find myself at a ford of the Sweetwater River. When running solo, river fords are to be treated with great care. It’s a little cold to get my feet wet so I walk as far out as I can by following the shore. The river is running clear so I can see the depth is little over 1 foot. The other side has a nice steep but dry climb about 10 feet past shore. Once across the FJ will be clear of the water and I will have space to work for a winch recovery if needed to climb the bank. Well here we go. Trust the FJ, with steady throttle we cross the river and we climb the far bank with little effort. Once clear of the river I follow the track up the other side of the little valley and then, another decent back down to the river. From here I can see a graded road in the distance on the other side of the river with no way to get there. I continue west for a mile or so and come across another ford. This one is a little interesting. I’m out of the FJ walking the area and I find the ford is old and heads straight across, muddy, and deep. Another track heads off to the left, I follow this and find a wide easy ford. Back to the truck and we are now back on the south side of the river. Looking west I spot another white post marking a double track heading west near the river. That’s the way we go. The double track continues west and we follow. We finally reach a point where the trail is paralleling the Lander Cutoff Road which beckons to me with a graded surface. 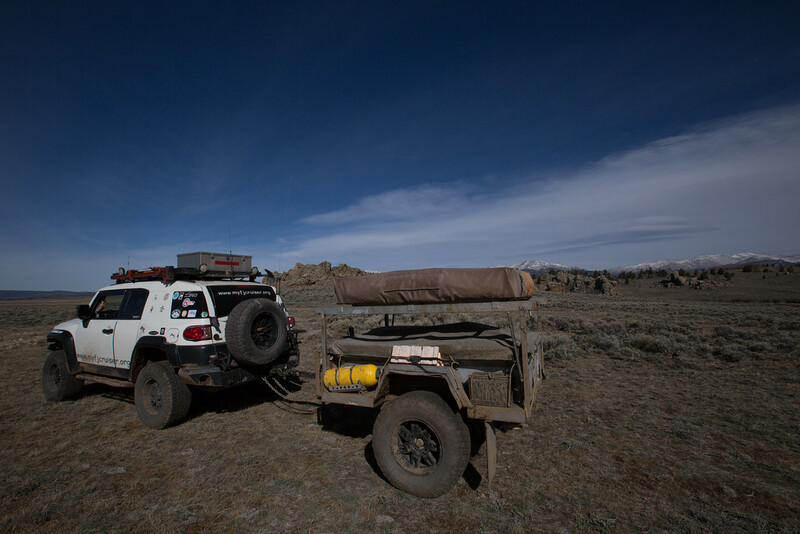 It’s time to get moving on towards Montana so choosing the faster route seems in order. Our little adventure section is over. Following this graded dirt route I can still see the double track of the Lander Cutoff marked with the white posts, another trip, and another day I’ll drive the whole thing. The graded dirt leads us into Boulder Wyoming, a small agricultural community, then onto Pinedale, and a stop for fuel. Highway 191 takes me west to Highway 189 and north west we go. 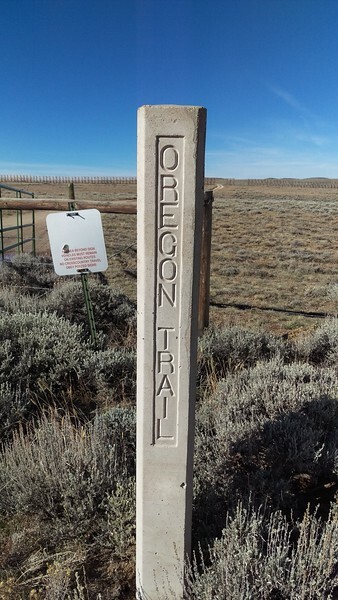 The paved route is still following the Historic Oregon Trail. Climbing out of Pinedale I am now leaving the Head Waters of the Green and Colorado River watersheds. Another divide, between where waters flow to the sea of Cortez and the pacific northwest. Back on the highway things are moving a little faster. I head toward Jackson, Wyoming, and Teton Pass. My pace picks up as I join in with the daily routine of commuters heading home to the small towns of eastern Idaho. Rolling through the bottom of the west side of the Tetons I stop and let the sign for Idaho welcome me, one state closer to my destination. I find a break in the traffic and again join the steady stream of anonymous folks heading into Idaho on State Highway 31. 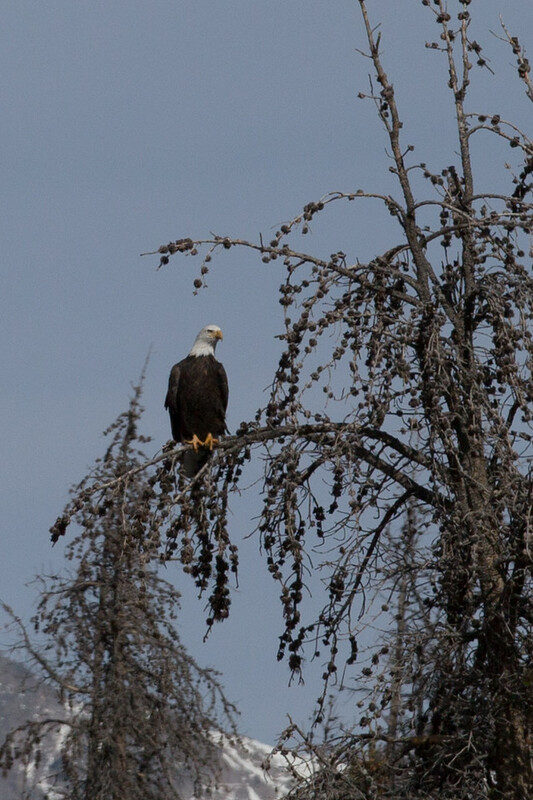 I roll north through Victor and Driggs, Idaho. 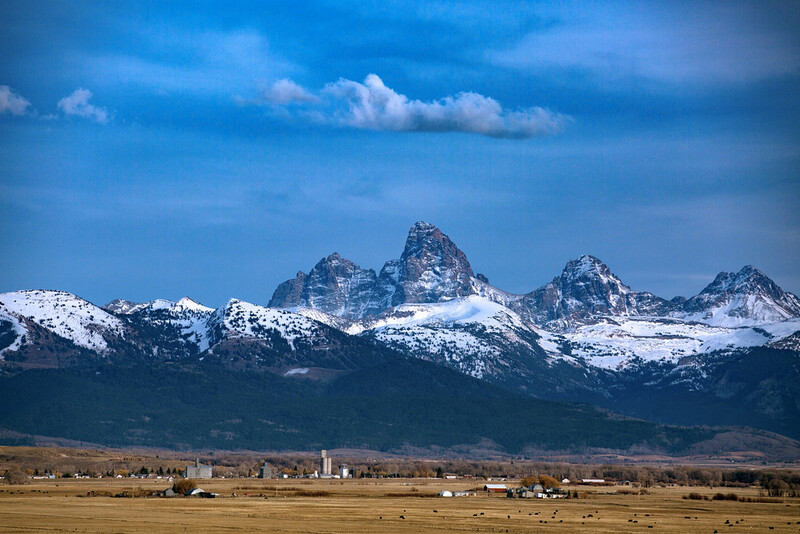 Both are small communities that seem to have found sound footing as recreation gateways to the Teton Mountains. Heading west out of the valley I pull over and marvel at the beauty of the Grand Teton and the valley before me. Having seen the view from both sides of the range I like this view best, framed between the mountains is the Grand Teton towering above the working agricultural valley. State highway 33 now takes me west through the rolling farmland. The smell of dirt hangs in the air as the large tractors are turning the patchwork quilt brown again. I pass through Rexburg, the Idaho home of Brigham Young University. The town is exceptionally clean. Highway 33 continues to take me west and I intersect Interstate 15, passing over it in a blink an eye. I parallel the young mountains of the eastern reaches of the Basin and Ranges. Sunlight has now faded and my headlights dimly light the side of the road. Not much of a view now. Passing through the community of Mud Lake, a Mormon Church and a Farm Implement Store, I make a right on to State Highway 28. Highway 28 takes me north in one of the long valleys that are typical of the Basin and Range region. After a few hours of driving I find the county Road I am looking for, Tenday Lane. I take a right on this little dirt road. Another right on What I think is County road 28, then I find my left on Agency Creek Road. Following this road for a few miles I find my destination, Sharkey Hot Springs. 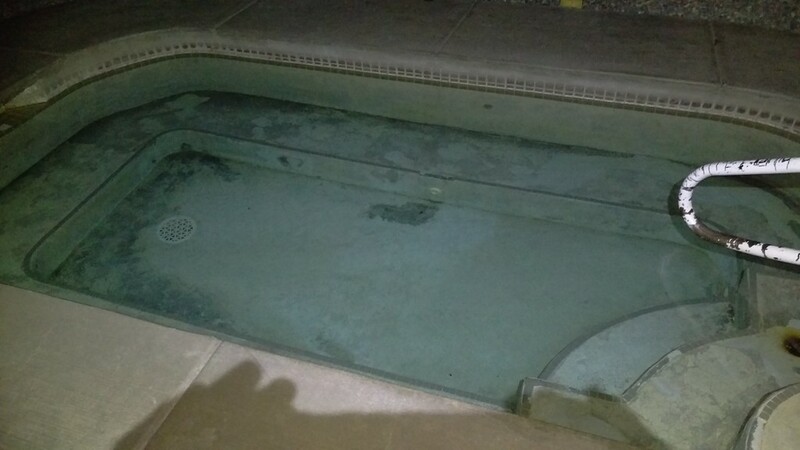 I have my final resting place for the night (Not approved by the BLM). Time to get camp setup, and have a quick dinner. Hot water, what a relief after hours in the driver’s seat. Tonight, I find just a few others here at the springs. Sharkey Hot Springs is managed by the BLM and is improved with two concrete and rock soaking pools. There are two pit toilets and a changing room. The BLM maintains the pools and the surrounding area cleaning the pools weekly. It is always nice sliding into a cool sleeping bag after a hot soak. Morning comes too early for me today. I’m out of the bag and breaking camp at about 5:00 am. Back on the road I head back to Highway 28 and north towards Montana. A small coffee shop makes a good stop in Salmon, ID. Heading north, now on US Highway 93, the valley is filled with smoke, wildfires are the way of the west. In this case orange signs on the side of the road indicate it is a controlled burn. I’m now climbing up and over the Bitterroot mountains. 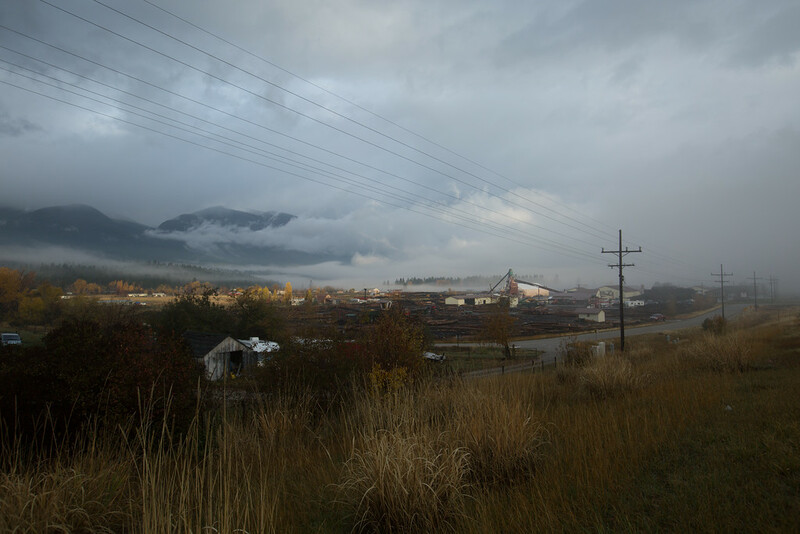 With low clouds mixed with smoke the sun is slow to appear and does so when I finally make my way into the Bitterroot valley. I stop to enjoy the early morning as it light casts a golden glow through the fog blanketing the farms and ranches before me. I know the slow route is the best way to go.